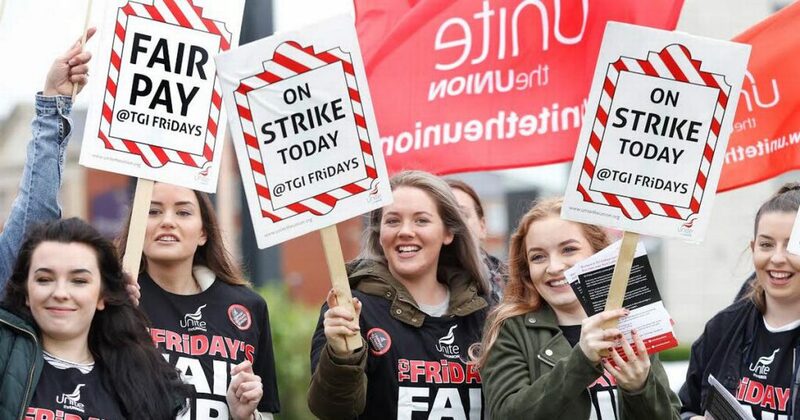 Three months after the establishment of the Belfast Hospitality Workers’ Branch of Unite, it is clear that the argument that young and precarious workers cannot be organised has been disproven. This is a young, dynamic and active branch and a lot can be learned from its approach. For many young people in precarious industries such as hospitality, there is little awareness of their rights at work. The growing casualisation of employment – consciously pushed by the bosses – has cut across collective action. This has not been helped by a trade union bureaucracy that has provided little leadership to organised sections of workers in defending their rights, never mind the unorganised. Trade union membership is low, with just 6.3% of under 30s on low and median incomes in trade unions. Recent heroic struggles of hospitality workers, however, have bucked this trend. The supposed economic recovery and growing wealth inequality have made workers in all sectors more confident in demanding ‘their share’. International movements on issues of oppression, such as the #MeToo movement, have also given workers confidence to speak out against widespread sexual harassment, such as those leading the historic strike in McDonald’s in the US on the issue. The McDonald’s, TGI Friday’s and Wetherspoons strikes have demonstrated to workers that trade unions are a vehicle to struggle for better pay, against precarity and an end to sexual harassment. However, in order to actually win in the sector, unions must take a serious organising approach, actively seeking opportunities to build an active and empowered membership. Unite Hospitality is seeking to develop activists, who can lead the way on how to fight for better conditions across the sector as a whole. Grievances and disciplinaries are often turned into organising issues. For example, in Boojum, simple issues, that would normally have been dealt with by a letter from an official and a meeting with the employer, were turned into issues that could help engage other workers and put the union in a stronger position. 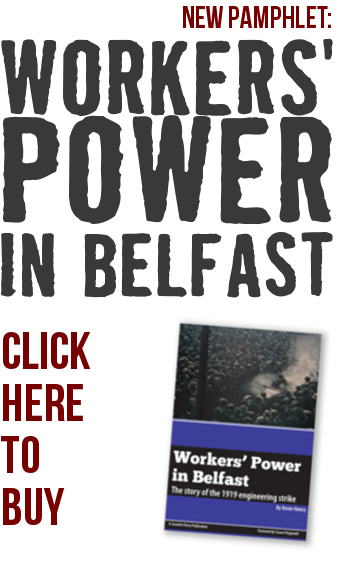 A serious organising approach of orientating workers towards a branch, being active in the union and seeking opportunities to organise in their workplace is how we can rebuild the labour movement in the growing service industries which now employ 1 in 5 workers in Northern Ireland. With seven hotels due to open in the coming year in Belfast, there are hundreds of job vacancies bosses are unable to fill as that growth has not been matched with an improvement in conditions. Recently, Lawrence Kenwright, owner of the George Best Hotel, signed off on a recognition deal with the SIPTU union, where he committed to not use zero-hour contracts and pay £9/hour minimum. Practically unheard of in the sector, this is a positive step and it will be important for bargaining with other bosses. This is a move by Kenwright to attract more workers to his brand as well as reducing friction with Belfast City Council, with whom he has a number of planning difficulties. If this recognition deal is not matched with organising on the ground, however, then power effectively remains in the hands of the boss, where these gains above the bare minimum will be lost if they impact on his profit margins. While any improvements in the conditions of workers are to be welcomed, only an organised workforce with a campaigning union can ultimately defend and advance workers’ interests.